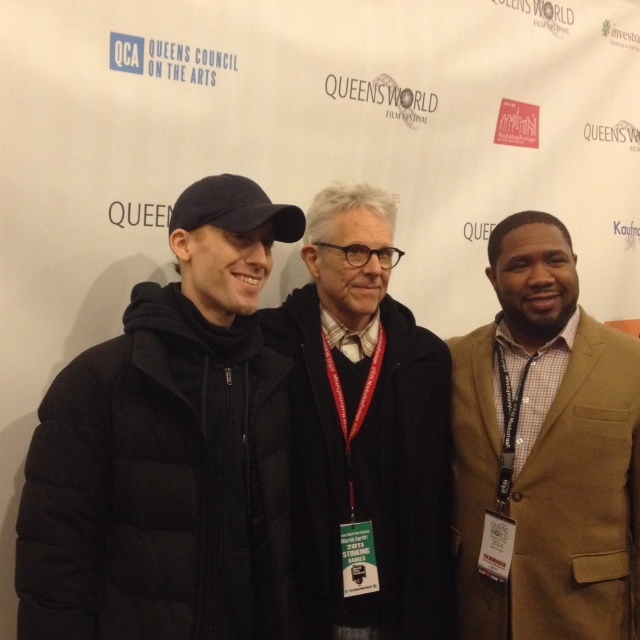 Perfect Day producer Derrick L. Sanders wanted to make sense of a tragic death of a high school student in creating his short, he said at the screening of his film at the Queens World Film Festival on Friday evening at the Secret Theater. Sanders’ film centers around the story of Derrion Albert, a high school honors student who was beaten to death in 2009 after he was caught in a brawl between two factions at Christian Fenger Academy High school in Chicago.1 Video taken from the scene shows Albert being killed beaten by several individuals with pieces of a railroad tie. Perfect Day follows the main character Desmond (Daniel Kyri), a soft-spoken honors student, through a typical day of high school.2 There isn’t much dialogue through most of the film, but plenty is said without it. Through his actions, we discover that Demond is an instantly likable, thoughtful and intelligent student with a bright future in front of him. He ultimately makes a connection with his love interest Aasha (Ciera Angelia) in a sweet and touching sequences of events before the tragic ending. The short also takes aim at the current iPhone generation. This is Sanders’ first short and required having more than 60 high school students. At times, it was difficult keeping them all focused. “I should’ve done a two-person story in a living room,” Sanders said, jokingly. But in the end, Sanders’ cast was similarly touched by Albert’s story. As for his next projects? Well, Sanders has a few in mind, but they will come with a very high standard.